Joining Dorothy is her metallic friend, the Tin Girl of Oz. 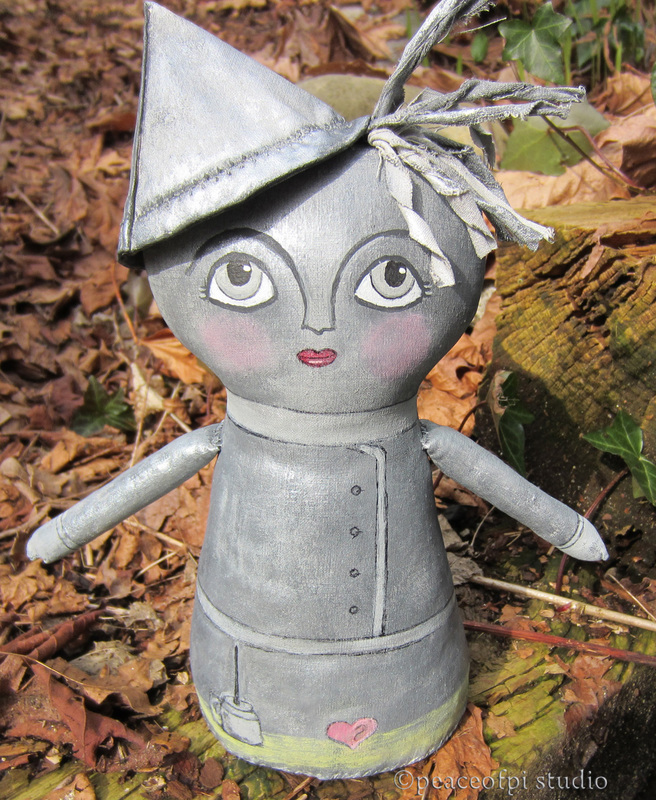 To the tip of her tin hat, she is 9 1/2 inches tall. Made of painted fabric, the Tin Girl soft sculpture has an oil can, and just like the Tinman she dreams of a heart. The next to join the Wizard of Oz crew is someone stuffed with straw.